There are 12 Assisted Living Facilities in the Easton area, with 3 in Easton and 9 nearby. To help you with your search, browse the 57 reviews below for assisted living facilities in Easton. On average, consumers rate assisted living in Easton 4.0 out of 5 stars. Better rated regions include Nazareth with an average rating of 4.1 out of 5 stars. Caring.com has helped thousands of families find high-quality senior care. To speak with one of our Family Advisors about assisted living options and costs in Easton, call (855) 863-8283. Nestled along the banks of the Delaware River, Easton, Pa., has historic riverside charm and a lot to offer seniors. In addition to the Crayola Factory, the National Canal Museum and the Hugh Moore Historic Park, the area has 28 assisted living facilities, three in Easton. 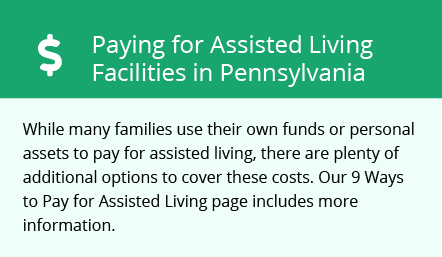 Seniors can choose from two types of facilities in Pennsylvania. Personal care homes offer basic assistance with activities of daily living such as dressing, bathing and grooming. While assisted living residences provide these services as well, they also provide basic nursing services. These facilities are licensed and regulated by the Department of Aging, Office of Long-Term Care. However, the Department of Welfare Adult Residential Licensing oversees personal care homes. The Lehigh and Northampton Transportation Authority (LANTA) operates Easton's public bus service. Seniors can apply for a PA Senior Travel ID that lets them ride for free. Social security income, retirement withdrawals and pension payments aren't taxed in Pennsylvania at the state or local level. This allows seniors to keep as much money as possible. The overall cost of living in Easton is lower than both the state and national averages. However, seniors should expect to pay slightly higher prices on health care services, which average 9 percent more than the state average and 1 percent more than the national average. Easton's overall crime rate is 32 percent lower than the national average and 6 percent lower than the state's average. Seniors can rest easy knowing that Easton's rate for violent crime, which tends to affect elderly persons the most, is 13 percent lower than Pennsylvania's median. The Easton area is home to world-class medical facilities, including Easton Hospital, St. Luke's Hospital Anderson Campus and Easton Community Care Center, in the event of medical emergencies or illness. Easton has an array of community resources for seniors, including the Northampton County Area Agency on Aging, an organization that provides local services to help seniors remain active within the community, as well as one senior center. Assisted Living costs in Easton start around $0 per month on average, while the nationwide average cost of assisted living is $4,000 per month, according to the latest figures from Genworth’s Cost of Care Survey. It’s important to note that assisted living rates in Easton and the surrounding suburbs can vary widely based on factors such as location, the level of care needed, apartment size and the types of amenities offered at each community. The state of Pennslyvania offers a Supplement Social Security Income program to help low-income seniors cover the costs of residing in an assisted living facility. To see a list of free assisted living resources in Easton, please visit our Assisted Living in Pennsylvania page. Easton-area assisted living communities must adhere to the comprehensive set of state laws and regulations that all assisted living communities in Pennsylvania are required to follow. Visit our Assisted Living in Pennsylvania page for more information about these laws.